All freelancers must store their business files with care and protect them from common threats. In some instances there are legal mandates about how long files must be stored, for example with tax documents, but a freelancer will likely also find that keeping an archive of files helps them better analyse and plan their business anyway. There are many types of business files that freelancers may want to store, and many common options for storage and protection. Freelancers must keep all documents related to their tax returns. This include tax forms, receipts, invoices, bank statements, credit card statements and any other documents that were used for calculating tax obligations. Paperwork related to National Insurance and pension contributions should also be stored. Most freelancers also choose to keep full files on the projects that they complete including client briefs, copies of invoices, drafts and copies of work completed as well as communications between themselves and clients. Freelancers who rent office space will want to keep files on these transactions, as well as any contracts that (s)he signs in the course of business. Many freelancers also find that keeping files on client contact information, past marketing methods and even daily diaries can be helpful in the future. There are many ways for freelancers to store business files. Freelancers will want to keep hard copies of all of their files which will mean printing out all electronic files. Hard copies can be kept in folders and/or boxes. Usually files are stored on site, such as in the freelancer’s home or office, though they can also be stored in dedicated storage facilities. Many freelancers also keep electronic copies of their business files. This can be done by setting up folders in their email accounts, using online tools such as Google Documents, storing files electronically at sites such as Box.net and XDrive.com or simply saving to their computer’s hard drive. Regardless of which electronic method a freelancer chooses for file storage, (s)he should be sure to back these files up regularly and especially after any changes have been made to them. There are also many ways for freelance workers to protect their business files. Locked file cabinets, safes and fire-proof containers are all smart ideas for protecting hard copy files. If such files are being stored in a dedicated facility then making sure that this facility is up to all health and safety standards is also important. Electronic files also need protection. 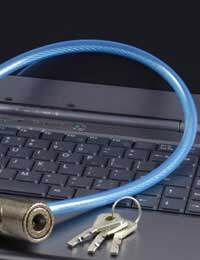 Encrypting files and password protecting them are important steps to keeping them safe. Changing passwords often, and staying away from obvious password choices, is also important. Changing electronic files to “read only” before sending them to other users will help freelancers protect their work and their files as well. Storing and protecting business files is important for all freelancers. Though the files they decide to keep may vary, some common storage and protection options do exist for all freelance workers.